Free Speech is a fought for, died for, and now nearly denied Constitutional right. Instead, it creates a ‘protected class’ of people who do not believe they are equal but above the law and the Constitution. This irrational thinking leads to buffer zones, multiple cases and appeals that tie up the court system and millions dead. The Supreme Court allowed women to kill what they deem to be unwanted proving that certain classes of people will not be protected or tolerated but their murderers and coercers are. Abortion Czars of America [Planned Parenthood, NARAL, Nat’l Abortion Federation, Federal Government, etc.] have been a protected class since 1973 and are responsible for multiple millions of abortion murders nationwide; in Ohio alone, 72 unborn Ohioans die every day from abortion death because they are not protected under the same freedoms and liberties that born Ohioans are. Are you as an American under Federal Protection IN America? Can you be completely sure? Clearly, AG Holder and Mr. Obama ASSUMED that Hern had to be protected with OUR TAXES to continue killing babies UP TO TERM. It is also blatantly clear that Mr. Hern who is a licensed murderer is from a protected class of people that the AG Eric Holder created; in other words, if you were standing or walking on the sidewalk of Hern’s facility, Hern is protected…no one else. And interestingly, Mr. Hern believes that prolifers cause ‘psychological trauma’ to his patients…the irony is that what he will do to their babies is a trauma that will never go away; sidewalk counselors attempt to give the mothers real options, not death by dismemberment and disarticulation. 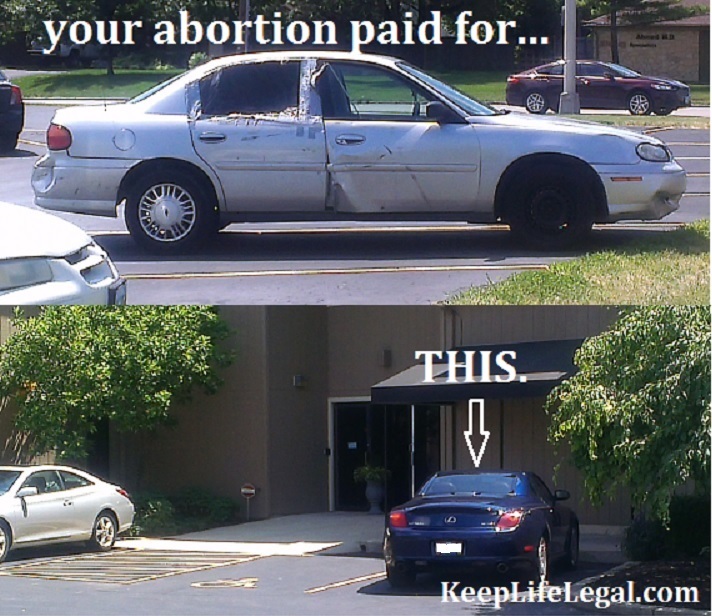 An abortionist has more federal protections than anyone else in the United States. Buffer zones protected the already protected; it was absurd, redundant, and a deliberate attempt to exemplify just one side of the abortion story. The sidewalk is the last line of defense for the defenseless, the unprotected class called the UNBORN.